Subconsciously we all know that overworking ourselves can do harm to us in both our personal and professional lives. Yet for some reason, we continue to work ourselves to death. I'm an entrepreneur who works 70+ hours a week. You, and I, should know nobody can function like that forever. Instead of waiting to get completely burnot out though, pay attention to the following 10 signs that you need to take a break from work. It may be tough to walk away, even if it’s just for a day or two, but it will definitely be in your best interest for the long-run. At first it appears that you’re having a productive day. Then out of nowhere you realize that you just made more mistakes in a couple of minutes than you have you would normally have in an entire workday. Does this mean that you’re a poor worker or aren’t cut-out for the job? Not necessarily. It’s probably a sign that you’re overworked and burned out. While in some instances these errors are minor and simply require a couple of minutes of repair, such as making grammatical errors when writing a blog post, other times these mistakes could have serious implications, like making an accounting error in your tax returns or injuring someone if you’re running heavy machinery. Research has found that burnout and depression share many of the same symptoms, like “feeling physically and emotionally drained, easily irritated by small problems, misunderstood, and/or underappreciated.” And when that happens you’re not only doing damage to your overall health, you’re also losing motivation - which is never good for staying productive. If you’re dragging yourself out of bed and don’t feel like doing anything work-related, taking a break can help you regroup, reflect, and recharge your batteries so that you’re refreshed and motivated. However, if that break doesn’t help, it’s definitely in your best interest to find a new gig or you’ll end-up in the same situation. Do you have bags under your eyes because you’re tossing and turning all night? Are you grumpy and just going through the motions like a mindless zombie? Then those are both obvious signs that you need to take a step back from work. Taking a sabbatical, even if it’s just for a couple of days, could be enough for you to get some much needed sleep and break-up your daily routine. Are you spending most of your days daydreaming, looking-up trips to the Caribbean, checking-in with friends on Facebook, or playing the latest game fad on your smartphone? Those are all red flags that you aren’t focused on your work and need to get away from the workplace for a bit. If not, this lack of focus will come back to haunt you since this is going to decrease your productivity. For instance, if you’re a freelance designer and you aren’t focused on the programming needs of your clients, do you think that they’re going to retain your services or refer you after you’ve missed deadlines and handed in sub-par work? I’ve mentioned health concerns a couple of times already. And there’s a good reason for that. It’s one of the most obvious signs that you're in need of a much-deserved break. Pay attention to health concerns like insomnia, an increase in your resting heartbeat, headaches, weight loss or gain, or constantly feeling under the weather. They may be insignificant for now, but they can lead to more serious health conditions in the future. Even if you take one mental day, you may be surprised at how much better you feel after getting significant sleep, eating healthy, and enjoying the things that make you happy. The average person spends around 47 hours per week working. That totals up to 109,980 hours at work during a person’s lifetime. In other words, your work is a big part of your life. This also means that you’re going to spend a lot of time with your colleagues. When you’re burnt out you stop socializing with this network by bailing out on lunches, meeting, office parties, and retreats. And, that’s definitely not a good thing. Research has found that when you have friends at work you’re happier because the job is more fun, enjoyable, worthwhile, and satisfying. Brace yourself. THere's actually more to life than work. It’s important that you don’t neglect your friends and family and take the time to enjoy your hobbies and interests. It helps you clear your head and gets you more excited about your work. If you find yourself missing out on life, then that’s another telltale sign that you need to give yourself a break from work. Do you find yourself constantly complaining about your boss and colleagues or procrastinating on tasks? That’s actually common when you’re burnt out. This can lead to bigger problems, like arguing with your co-workers, frustrating your loved ones with all the venting, and not meeting important deadlines. Call-in sick, reschedule your meetings, or skip town for a couple of days. You’d be surprised at how much you don’t actually resent your boss, colleagues, or your job in general since you’ll come back with a new perspective. Believe it or not, there’s actually benefits for both messy and clean work environments. For example, cluttered areas can promote creativity, while organized workspaces can help you focus. This is because our work areas symbolize the spaces in our minds, as well as how we sort and process information. 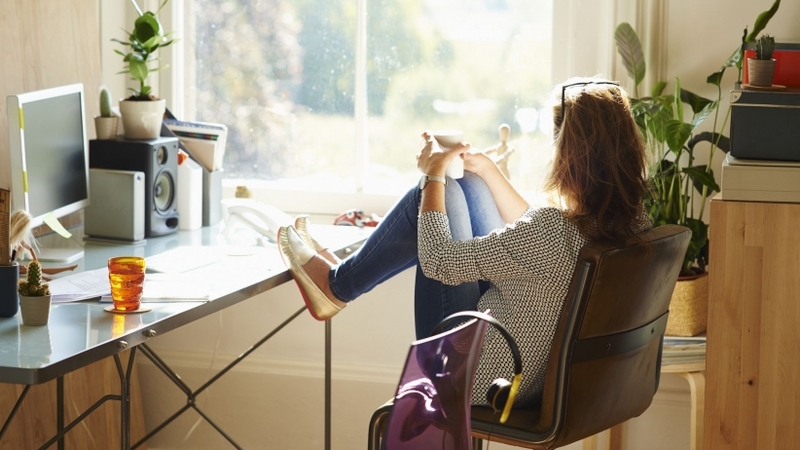 If you don’t have the spare time to organize your work area, or you’ve suddenly gone from being messy to possessing OCD traits, it’s a sign that you need to step away from work.